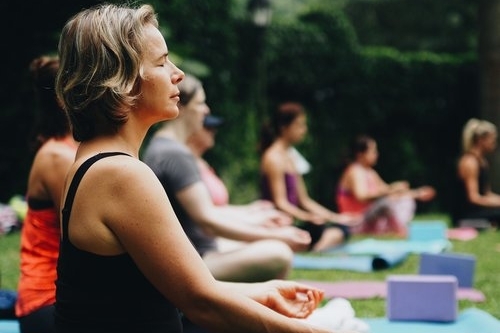 Join the welcoming UFIT community at any of our amazing outdoor locations for an effective and fun workout to get you fitter, leaner and stronger. Get active with us today! People who train with us are from all walks of life, all fitness levels and with different goals - so no matter what class you choose you will be at the right place! We are a passionate community believing that every session should be challenging to give you great results - whilst catering to all levels so you have fun at the same time. WHAT ARE UFIT OUTDOOR BOOTCAMPS? 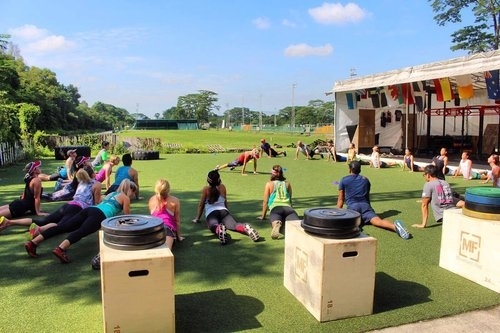 Our outdoor bootcamp classes target different areas of the body, are held in the fresh air in Singapore's most stunning outdoor locations - and are community based so you can come with a friend or leave with new friends! You can also pick your fit from over 12 different types of classes, including HIIT (High Intensity Interval Training that keeps you burning fat for hours), METCON (strength and cardio), Boxing, Running, Yoga and more! Our team of expert coaches motivate, support and live and breathe everything fitness. Our coaches are former international athletes, highly qualified fitness trainers and passionate about their own wellness - and at the same time as busy professionals and parents they understand the challenges of living a well-balanced lifestyle. A class where we practice the skills needed for obstacle course events like Tough Mudder, Urbanathlon and Spartan Race. We will be building our obstacle race specific endurance and strength every Sunday CrossFit Bukit Timah.